It was early Wednesday morning and I had just returned from taking Cheryl to the airport. Her flight back to the States landed me back home about 11:00. 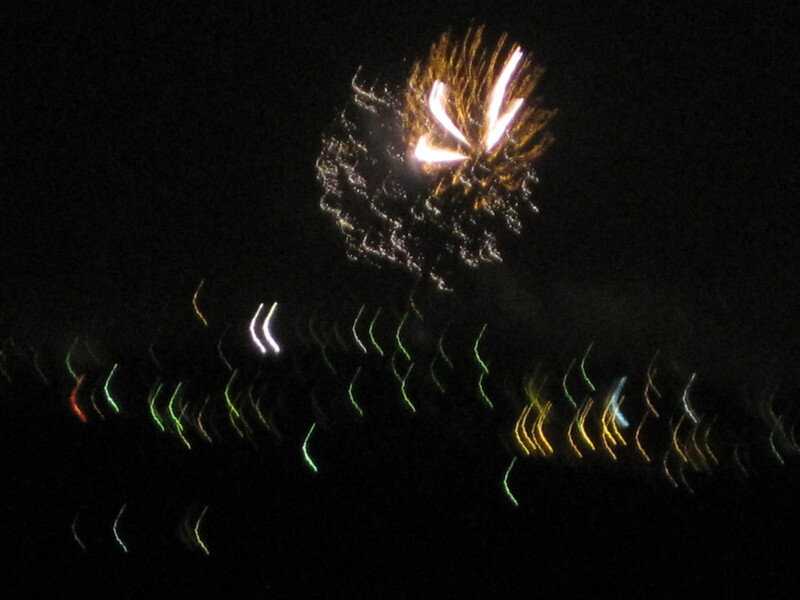 I had actually forgotten about the upcoming fuochi d’artificio, fireworks celebration. Checking the computer, I happened on a post from Alessandro, owner of Ristorante Vinandro. He sent a reminder about the upcoming festivities and suggested the romantic idea of perching on a nearby mountain top to watch the show. Perchè no, why not? In the few hours remaining before the big event, I decided to research the phenomenon of sainthood a bit, and began sleuthing around the internet. My questions were simple, but the answers were not. It seems that Romulus was hanging around Fiesole as a Bishop in the first century (not to be confused with Romulus and Remus, Rome’s twin founders who were suckled by a she-wolf). Not much else was said about him for about 1,000 years hence, when an influential Abbot in town named Teuzo decided to “upgrade” the status of Romulus from a “confessor of the faith” to a “martyr.” A bit after the fact, but let’s go with it. Now that’s a really big deal and suddenly he was “in”—like getting a huge promotion from being the head of Human Resources to CEO. 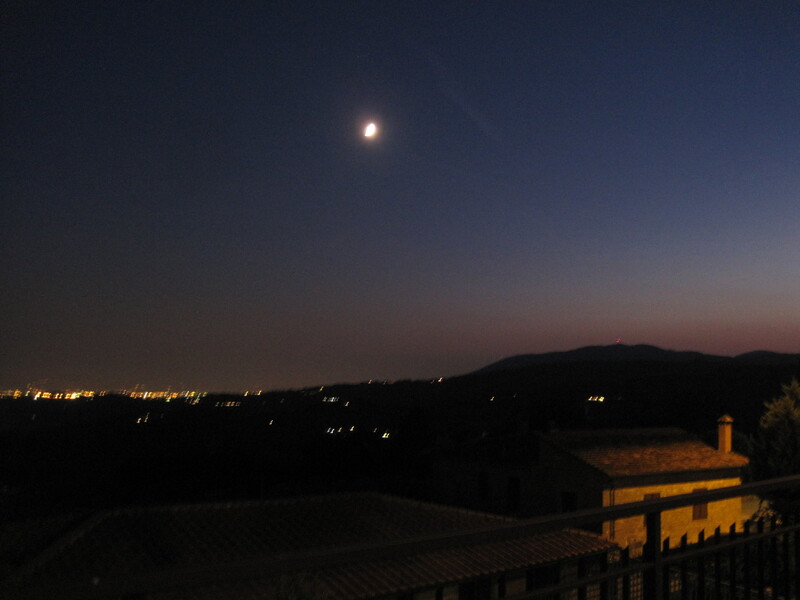 From that point on, for a cool millenium, he’s been the uncontested patron saint of Fiesole. 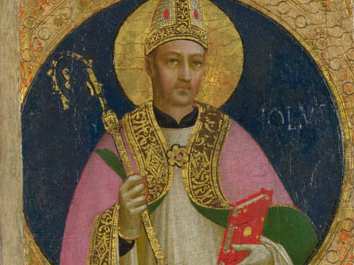 Just think about it—overnight, Romulus became one of 10,000 saints in the Roman Catholic Church. Wow! Now that’s impressive! The problem is that there doesn’t seem to be any validated process for canonizing someone that everyone can agree on, so it’s a little bit difficult for me to get excited about this guy. According to my crack research, a patron saint is regarded as “the intercessor and advocate in heaven of a nation, place, craft, activity, class, clan, family, or person.” Now I’m even more confused! That’s a lot of territory to cover. 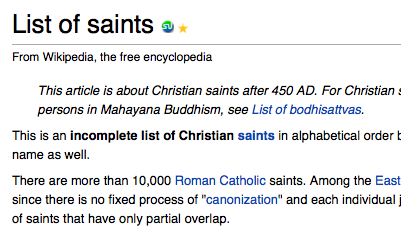 On second thought, maybe 10,000 saints aren’t enough? Now don’t get me wrong. I’m as spiritual and respectful of other beliefs as the next guy, but I’m just thinking: perhaps it’s about time to expect more accountability in the system. After all, there are so many issues around the world, surely we could get more mileage out of all that “saintly horsepower” so to speak. Frankly, I don’t see any real evidence that they’re working all that hard. What do they do all day? Why not get them focused on the things that matter? Perhaps the Italians had it right all along, and it’s just a matter of tapping the vast potential—I suddenly got fired up about catching the real spirit of this event. So, Wednesday night at about 9:45 I grabbed the camera and headed out to Dino’s. 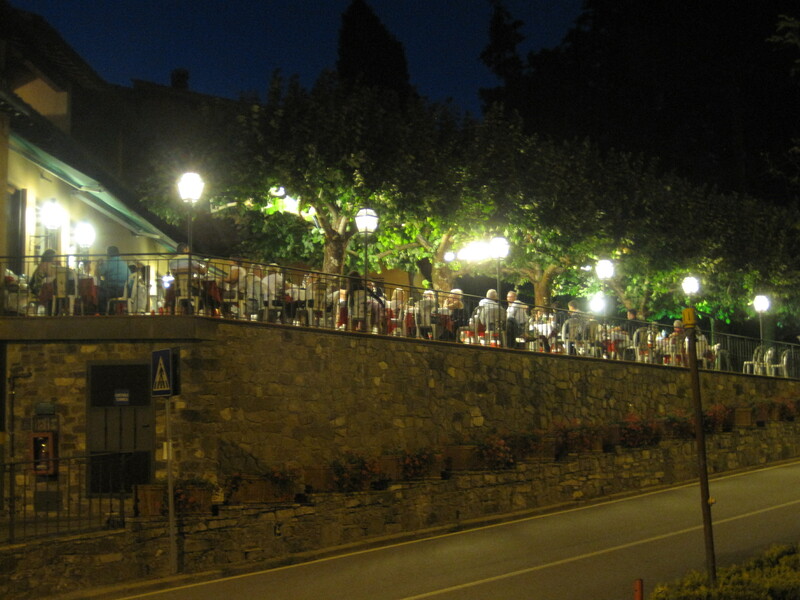 It’s a hotel/restaurant about 5 minutes down the hill in the little town of Olmo where there’s a great view out over the valley directly toward Fiesole. Perfect! And, they have benches perched on the side of the hill that I deemed to be excellent for viewing the celebratory explosions. I claimed my bench before the crowds descended since I didn’t want to miss one minute of the action. As it turned out, there were only a handful of people who specifically showed up for the event besides the normal array of diners (who didn’t seem to even notice.) An older couple sat at the left of me, while a large family with 3 young children and grandparents in tow plopped down to the right. No one ooh-ed and ahh-ed about the display. In fact, they barely stopped yammering long enough to catch the action. Then, they left for the car before it was even finished (they probably didn’t want to get stuck in the post fireworks traffic jam.) My guess is that most people don’t even know the patron saint’s name, let alone what he did to earn the job. Sorry to be so cynical, but for most people here, it’s probably just another day off work and some place to take the kids. And that’s certainly understandable because 1,000 years is a long time to keep a tradition alive and fresh. I have to say that the evening was a letdown for me. Magic was supposed to be in the air given that we were honoring a 2000 year old patron saint. That’s when I went back to that idea about putting those guys to work. I’m not talking about tackling the really tough problems like world hunger or peace in the Middle East. Why can’t we just get some of the practical things done first? Baby steps. Like, cleaning up the illegal dumping that continually happens around the dumpsters just off of Via dei Bosconi. Or, maybe we could get that old cracked and pot-holed road to our place repaved just as a happy Tuesday gift from our helper saint. You know . . . stuff like that. 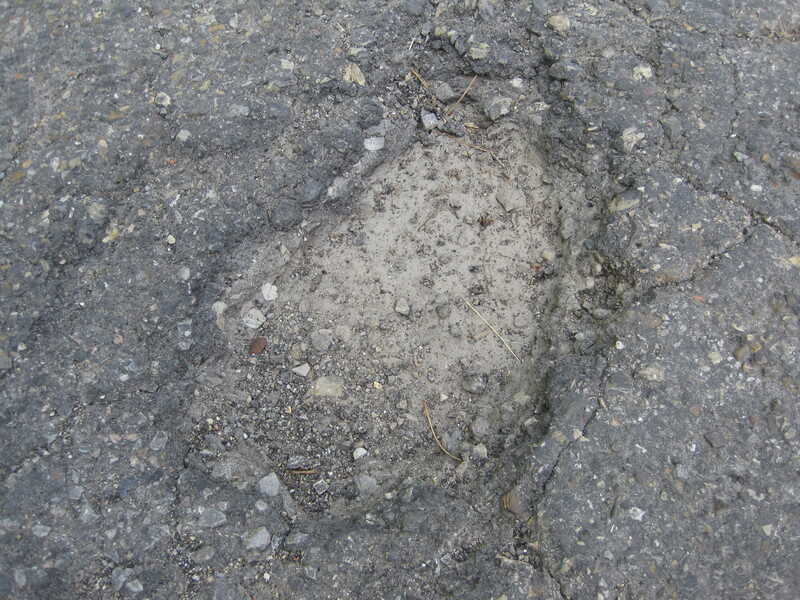 A pothole begging for Divine Intervention. I’m all for fireworks and increased visibility for the 10,000 existing saints, and would even support canonizing that many more if we could at least call on them once in a while to get some real work done. I’m sure Romulus is a really nice guy, but come on . . . if they’re here to be “intercessors,” then let’s start seeing some results!